Our guest post today is from Dr. Stacey A Bedwell, a postdoctoral researcher at Nottingham Trent University, whose work focuses in the prefrontal cortex of the mammalian brain. 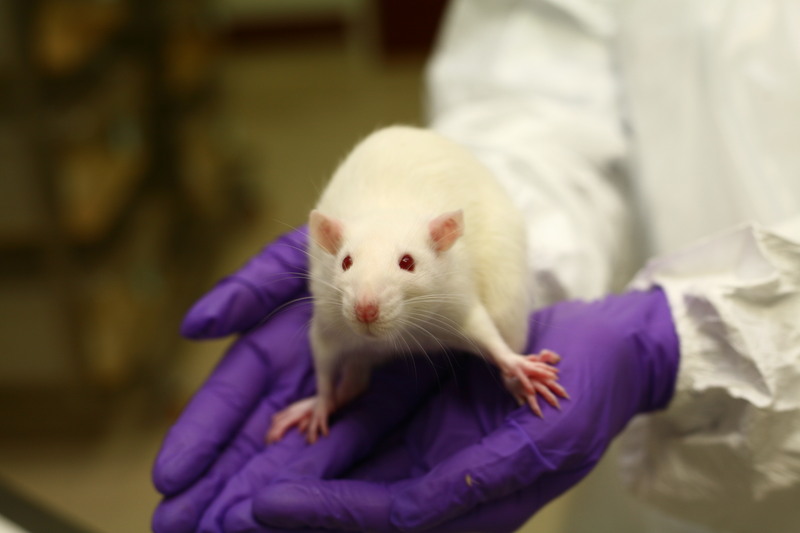 In this post she discusses her work with rats, and why it is important for neuroscience. If you are interested in writing a guest post for us, please contact us today. My research interests are in brain connectivity, studying how the billions of neurons in the human brain are connected and how their complex organisation allows us to carry out high order functions such as forward planning and decision making. I am specifically interested in the most frontal part of the mammalian brain, the prefrontal cortex. This region is known to be involved in complex processes such as decision making, forward planning and social inhibition – the behavioral restraint a person has in social situations. Why study the prefrontal cortex? It is not always clear to people outside of the area why basic research like mine is important for medical science in the long term and how it will indirectly benefit us as humans (and also often benefit animals). A lot of people don’t realise that a lot of work needs to be done to provide the knowledge that is required before exciting new drugs and treatments are developed. For instance, the development of treatment for spinal cord injury has been built upon an increased knowledge the underlying structure. In my area of neuroscience research it is really important to develop a clear picture of the underlying anatomy and organisation before we can improve our understanding of how the prefrontal cortex as a region functions, and ultimately lead to a better understanding of prefrontal associated neurological deficits that will help us to develop improved treatments and prevention strategies. The prefrontal region has been associated with a range of neurological deficits including schizophrenia, depression and autism. Autism in particular is thought to involve abnormalities in prefrontal connectivity. We cannot begin to fully understand how these functions work and how deficits come about until we gain a clearer understanding of the structure and organisation of the neuro-typical prefrontal cortex, beginning with the underlying anatomical circuitry. My research for the past few years has focussed on revealing the complex neuronal circuitry that comprises this fascinating brain region. Why do I use rats in my research? People often ask me why I used animals in my research, whether it was necessary and why I couldn’t use another non-invasive approach in human subjects such as MRI. My most frequent observation, particularly from non-scientists, is that it is hard to see the importance of research using animals, if like mine, it doesn’t focus on a specific disease or produce findings that will lead immediately to the development of a new drug or therapy.. The optimum method for investigating brain connections is to physically visualise them, and the best method for visualising brain connections is the use of neuroanatomical tract tracers, fluorescent molecules, taken up by neuronal cells, that enable us to map pathways and the connections between brain regions. There are several different tract-tracing methods available, but I use fluorescent tracers injected into the prefrontal cortex in rats. With the use of a fluorescent microscope it is possible to visualise neuronal connections down to individual cells, something which we are far from being able to do with non-invasive imaging in humans. Being able to visualise and analyse the 3 dimensional location of connections on such a systematic and fine scale has allowed us to reveal properties of prefrontal cortex connectivity which had previously been undescribed (Bedwell et al 2015 & 2014). Our most prominent and surprising finding is that of non-reciprocal connections in PFC pathways, which is inconsistent with our knowledge of cortical organisation from other complex brain regions – cortical connections have long been assumed to be largely reciprocal in nature. This shows that PFC is organised very differently to other brain regions. These novel organisational properties provide an important basis on which to build a clearer understanding of how this complex region of the brain is organised and offer an insight into how and why the prefrontal cortex is able to carry out complex processes. What happens to the rats? I used rats in all of my experiments. 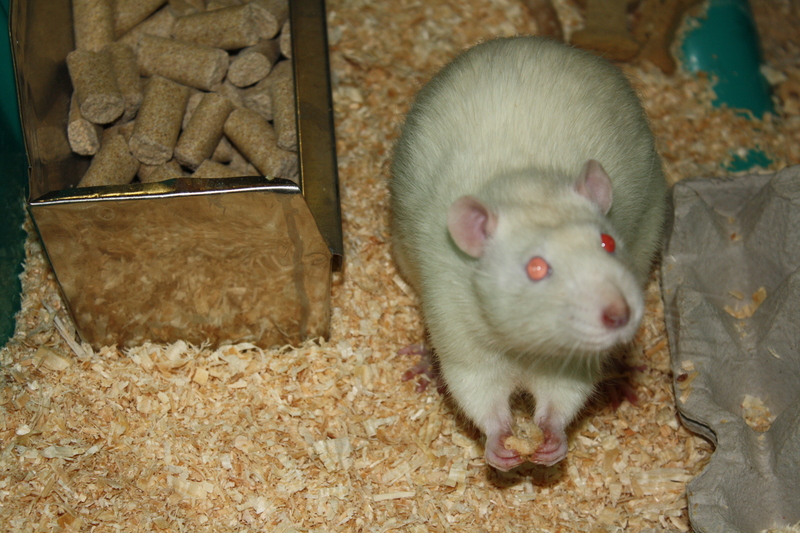 The rats were all obtained from a Home Office licensedbreeding facility in the UK and were acclimatised to their new environment for a couple of weeks before they were used in any experiments to reduce their stress. Our rats were housed in groups of at least two and were kept in climate controlled specialist cages – they were very comfortable. There are strict Home Office guidelines in the UK as to how rats used in experiments are kept and cared for to ensure their welfare needs are met, this applies to before, during and after experiments and they are followed to the letter. A lot of effort goes into ensuring no animal suffers as part of an experiment. My experiments required the rats to undergo surgery so that the tracers could be injected directly into the brain at a very precise location. This was always carried out to a very high standard. We received advice from a vet, who also sat in on the first few surgeries to ensure we were performing the procedure in accordance with regulations. The surgery always involved a team of at least three people and the welfare of the rat was the greatest priority. This included the correct use of anaesthesia, analgesics pre and post operatively, as well as continued behavioural observation in order to identify any post-operative complications before they could cause suffering to the rat. At the end of the experiment each rat was euthanised and the brain removed for microscopic analysis of the labelled connections. I am now developing studies of cortical function and functional connectivity, that can be carried out on human participants with non-invasive methodologies such as transcranial magnetic stimulation (TMS) and electroencephalography (EEG), and will complement the earlier studies undertaken in rats. Unfortunately, the technology is not yet available to investigate fine scale anatomy in such a non-invasive manor, so both animal and human studies are required in order to understand how the underlying brain structure relates to function. Until such techniques are developed, animal experiments will continue to be vital for the continued progress in neuroscience, as it is in so many areas of medical science. Posted on December 10, 2015 December 10, 2015 by EditorPosted in Guest Post, NewsTagged neuroscience, rats, stacey bedwell.